M.Y. Beauty Lounge is a Hair & Beauty Salon in Simpsonville that is all about embracing your own unique hair texture, from straight to curly to very fine or outrageously thick! Everyone’s hair should be celebrated. We pride ourselves in providing services that are tailored specifically for your type of hair. Whether your hair is dry, severely chemically damaged, or you need some guidance to help your hair look its best, we will work together to transform your hair into a flawless finish just for you. Also, take advantage of the many tips and tricks offered to care for your hair at home! M.Y. Beauty Lounge is dedicated to making you fall in love with your hair again! Flatter your face with beautiful brows. We take care of them the right way, and never rush through the process. After you share your brow likes, dislikes, and preferences, we assess them from every angle prior to shaping them into their best shape. Are you sensitive to wax? No problem! We use all-natural, organic sugar paste. It is never hot, less irritating and less painful than wax, and long-lasting. 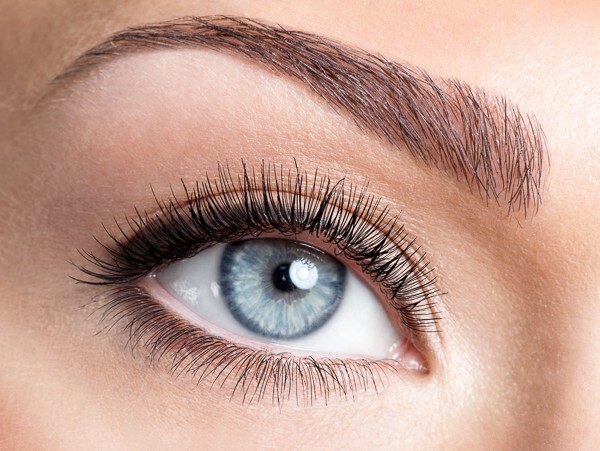 Do your brows and lashes seem thin and sparse? Frame and flatter your eyes with tinted lashes and brows, which give the appearance of thicker, fuller lashes and brows, and vibrant eyes. In just minutes, tinting gives even the finest, fairest brows and lashes a boost of color. Select from a variety of tints or have one custom-blended. This can last anywhere from 2 to 4 weeks, depending on skin type and aftercare. Can be used as an alternative to lash extensions. Lashes stay lifted (curled) up to 6 weeks, and it’s very low maintenance. *Prices Starting At **$20 Deposit is non-refundable and will be applied toward your first full set. What are semi-permanent eyelash extensions? Semi-permanent lash extensions are a unique way to extend the length & increase the thickness of your natural lashes. Lash extensions are meticulously applied to the individual natural lashes, shedding away with the natural lash. Are lash extensions safe, comfortable & damage-free? Yes, if applied correctly & professionally. Your lash tech will assess the length, thickness and health of your natural lashes and apply a bespoke set of lash extensions that can be safely supported by your own. Each natural lash is isolated, and a single extension (or fan if the Russian Volume technique is used) applied to it, close to the lash line but without touching your skin. Eyelash extensions can be safely worn, week after week, month after month, year after year, with no breaks, if desired. 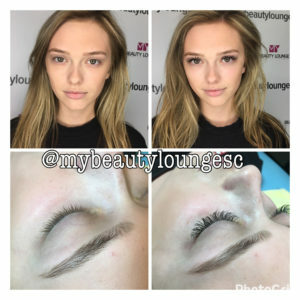 The bad press & rep that lash extensions suffer is due to the fact there still remains a lot of untrained -or poorly trained- lash techs who unfortunately continue to apply extensions that are too long, thick, or with too much adhesive; causing damage to the natural lashes -which is sometimes permanent. It’s so important that clients do their research before their lash treatment. A correct & professionally applied set of lashes should feel comfortable and lightweight and you will not know that you are wearing them. The treatment should be pain-free and relaxing, most clients fall asleep! Can I choose any look I want? The ‘finished product’ will depend on your natural lashes, ‘we can only work with what you’ve got!’ It’s important for clients to have realistic expectations. If you are blessed with a set of strong, thick, long natural lashes I will be able to achieve a fuller look than if you have sparse, fine natural lashes. I can only apply one extension onto one natural lash, enhancing what is already there, opposed to creating something out of nothing. I do offer a large lash menu and use a range of advanced techniques to create the best looking set possible. The style, shape & other particulars are all discussed during the initial consultation. If you decide to change the look/style of your lashes as time goes on, adjustments can be made during infill appointments. However if the changes you request are more extreme and require different types of extensions or completely different shape, you may require a removal & application of a new set. Why do I need a consultation & patch test? Client safety & lash health is a priority at M.Y. Beauty Lounge. At least 48 hrs before your lash appointment you will be invited for a 15-30 mins consultation, where you will be patch-tested with the products used in the studio to ensure that you do not have any negative/allergic reactions. You will complete a client consultation & consent form, and if there are no contraindications that may prevent you from wearing lash extensions 4-5 short & fine extensions will be applied onto your natural lashes. We will also discuss the look you’d like to achieve with your extensions and take photos of your eyes to determine what will suit you best. If after 48 hours you show no adverse reactions then you’re safe to wear lash extensions! A $20 non-refundable deposit is due at the time of booking the consultation. The deposit will be applied toward your first set of eyelash extensions. How long will the treatment take? Treatment time varies, ranging from 1.5 hrs to 3 hrs for the initial set. It’s dependent on what specific service you choose. After the treatment you will be given a comprehensive after-care leaflet, with hints & tips on how to care for your new extensions and get the best out of them. Are there restrictions to wearing lash extensions? Clients must be aged 18 and over. They must be able to lie flat with their eyes shut for the entire treatment time. Clients who suffer from claustrophobia, twitchy or water eyes may not be suitable; however this is something we can discuss during the initial consultation. How long do extensions last? As the extensions are attached to one natural lash, they will shed along with your natural lashes. We lose on average between 2-5 lashes/day, which means that maintenance lash fills are required every 2-3 weeks to keep your set looking its best. If your extensions were a one-off you can choose to let your extensions fall out naturally over the course of 3-6 weeks or get them removed professionally. How do I take care of my extensions? You must be gentle & careful with your new extensions as they’re very delicate. You must wash them daily with antibacterial lash & lid cleanser. You must not wear any mascara on the extensions and you must be careful of using eyeliner on the upper lid. Some ingredients in eyeliners can break down the adhesive, as well as causing them to stick together. This makes it difficult for you to keep your extensions and eyelids clean & free from lash mites. Lash mites feed on unclean lash adhesive & makeup residue and can lead to eye infections such as a blepharitis. Please note that if you arrive at your infill appointment with dirty extensions and evidence of makeup residue we will not fill your lashes -you will require a removal followed by a new set. Why is there a difference in prices between different lash specialists? The old saying ‘you get what you pay for’ couldn’t be more true in the case of lash extensions! The process requires great skill & patience and should only be undertaken by a highly trained professional. Great lash specialists invest time & money in their training continually, use products of the highest medical grade quality; all of which does not come cheap. As full sets take anywhere between 1.5-3 hours, it’s not a speedy or cheap treatment for either the client nor the therapist. Unfortunately there still are too many sub-standard salons where lash extensions are offered for little money (i.e. $35), using poor quality products, no isolation of the natural lashes; contributing to the bad rep of lash extensions as causing damage to clients’ natural lashes. There are lots of therapists out there offering lash extension treatments, but there are few who are highly skilled & qualified lash specialists. At M.Y. Beauty Lounge, a flawless makeup application in a relaxed studio setting is for any time you want to feel like the most beautiful woman in the room. Whether you’re looking for a new daytime look, going out for a night on the town, or getting married, we will give you the look you will LOVE. As experienced makeup artists, we believe that makeup artistry is not merely about applying color or concealing flaws. It’s about boosting your confidence and letting your inner beauty shine through. You are our priority! We focus on accentuating your natural beauty, and personalizing a look that you will love. We also focus on making you feel at ease and relaxed, and creating a fun environment. It’s your day! Have fun with it! We use a combination of airbrush and conventional products that do not feel heavy on the skin, yet stay intact throughout the day. We customize the use of our products in order to complement your skin type, and execute your desired look based on your specific preferences. When it comes to makeup artistry, you can count on 100% mobility. When requested, we come to you! Whether it’s for bridal, corporate events, production, live performances, or photography, we’ve got you covered. Special Occasion Hair Styling: Our hair products of choice are top-of-the-line. This will ensure us that your hair will be shiny, silky, smooth, and intact throughout the day. We are skilled in all hair textures. Whether thin or course, straight or curly, short or long, we’ll make it look stunning! Hair styling also includes wash, blowout, and trim (if requested) if the service is provided in our salon. Interested in extensions? We’re also happy to help! Hair and Makeup Previews: We highly recommend a makeup and hair preview so that you can feel 100% happy with your wedding look. It is the perfect opportunity to try your favorite look in a relaxed environment. During your bridal preview, we will also make recommendations on how to care for your skin and hair so that they look and feel their absolute best on your wedding day. Previews are held in our salon only. Additional charges may apply for subsequent previews. Pricing: A $400 minimum is required to provide on-site services. A deposit of 50% of the grand total and a signed agreement are due in order to hold your date. The remaining balance is due 7 days prior to the wedding date. Rates include travel expense to your location on your wedding day if you are within 15 miles of Simpsonville. Rates also include temporary strip lashes (if requested). *Rates for hair services may vary based on the density and length of the hair, and complexity of the desired style.